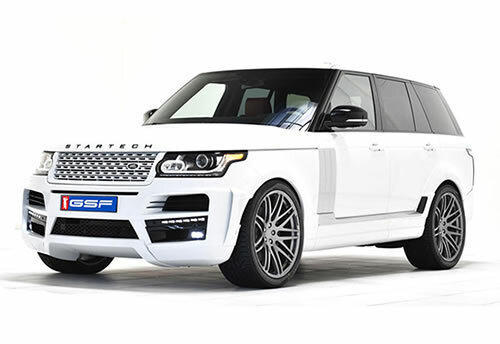 GSF Motor Works is one of the largest independent Land – Range Rover car service workshops in Central and South-West London. In our garage the Land Rover car owner can have the service, repair and the maintenance of his car carried out cost effectively by our mechanics in line with the manufacturer specifications. GSF Motorworks has the latest diagnostic equipment and can carry out MOT testing as well as premium quality Range Rover bodywork repairs. The first Land Rover, officially launched in 1948, was said to have been inspired by the American World War II Jeep. The technical developments since then have been extraordinary and both Land Rover and Range Rover models require a specialist skill set to repair or maintain. Our mechanics have been servicing this iconic British automotive brand for over 10 years. We are Land Rover Specialists and a Range Rover service centre. Hundreds of loyal customers have trusted us to service a car similar to yours in our spacious workshop that spans across 9 servicing bays. Depending on the model; be it a Discovery, Freelander, Evoque, or Sport, your driving style and driving conditions we apply either the Fixed Service Schedule or the Flexible Service Schedule. We can also carry out maintenance in line with the traditional service intervals. By choosing GSF Motor Works, the Land Rover owner maintains the manufacturer’s warranty as we strictly adhere to the main dealer specifications, use dealer level Range Rover diagnostics equipment and use Land Rover approved parts and accessories. The Land Rover service cost with us is a fraction of what main Land Rover dealers charge. What we offer is not a cheap car service as many independent Land Rover garages do – we offer a trusted value for money alternative. We can serve customers with Land Rover and Range Rover in SW London, West and Central London areas. Are you looking for a Land Rover car key replacement? Do you need to have your Range Rover checked for wheel alignment? Do you want to have dents and scratches fixed or are you looking for some more serious Range Rover repair? Or is it just about a simple service, and want to ensure that a proper Land Rover diagnostic process will be applied? Our lead engineers always overview and check any work done on your Land Rover & Range Rover, and they finally conduct a thorough road test.